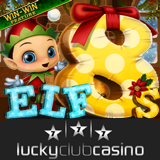 Metro-style Lucky Club Casino (http://www.luckyclub.eu) has just added the Elf 8s slot from Nuworks to its online casino. The festive new Christmas slot game has an Expanding Wild Elf and scatters trigger Free Spins. It also has Nuworks’ “Win Win” feature to make sure everyone gets a nice win during bonus spins. Lucky Club is doubling deposits and giving free spins on the new Christmas slot. Valid until December 15th only. New Christmas slot game from Nuworks has Win-Win feature and expanding Wild. 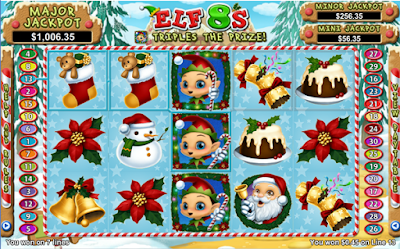 Elf 8s has a Christmas Elf as its expanding Wild symbol. It expands to cover all three rows on the middle reeland triples any win it's part of. Three or more scatters trigger eight free spins with extra wilds. Other wintery games from Nuworks Gaming available at Lucky Club, which is popular all over the world, include Wonderland and Alaska Sun.